Coolidge and his X-ray tube. William Coolidge, born in 1873 and educated at MIT and the University of Leipzig, was an electrical engineer and inventor who made a lasting contribution to the field of X-rays. Having first developed ‘ductile tungsten’ by purifying tungsten oxide, allowing it to be drawn into filaments, he conceived his greatest invention in May 1913, an X-ray tube that would become known as the ‘Coolidge tube.’ His design, which was subsequently awarded US Patent 1,203,495, is still the basis for all X-ray tubes used today — a century later — including airport luggage scanners, crystallography, industrial inspection, CAT scanners and, of course, mammography. Click here for a video. Written in the first person, Coolidge declares in his patent, “The tube which I have produced differs so radically from the tubes of the prior art used for producing Röntgen or X-rays as to amount not so much to an improvement on prior tubes as to an entirely new variety of tube differing both in its principles of operation and in its operating characteristics.” The prior art that his invention eclipsed was the Crookes tube, used by Wilhelm Röntgen when he first discovered X-rays in 1895. The Crookes tube had a cold cathode and utilised gas discharge to generate X-rays. In contrast, the Coolidge tube uses a high vacuum and a heated tungsten filament that provides the source of electrons. As the cathode filament is heated, electrons are emitted and the hotter the filament becomes, the greater the emission of electrons. These electrons are then accelerated towards the positively charged anode and when they strike the anode they are deflected through ninety degrees. By a process known as bremsstrahlung, X-rays are emitted from the anode with a continuous range of energies. The major benefits of the Coolidge tube are its stability and the fact that the intensity and energy of the X-rays can be independently controlled. Increasing the cathode temperature increases the intensity (i.e. the number of photons), while increasing the potential difference between cathode and anode increases the energy of the emitted X-rays. Because heat removal can be a serious problem, Coolidge later invented the rotating anode (US Patent 1,215,116), another key advancement. 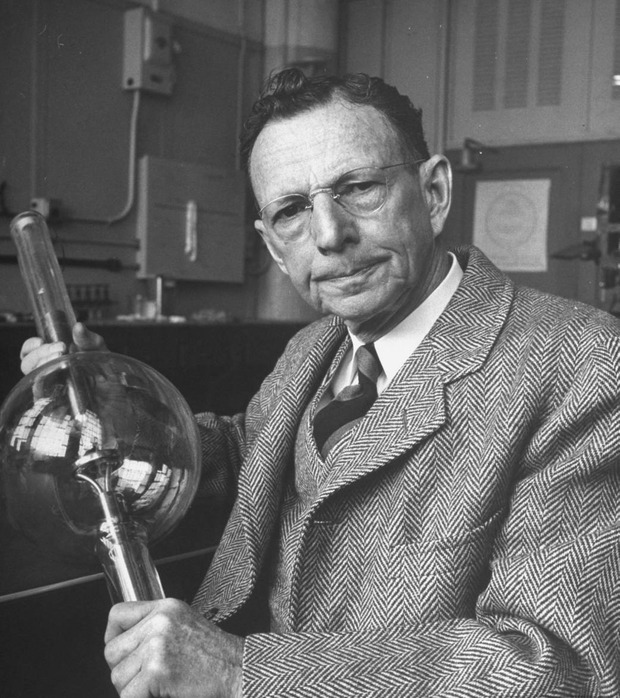 Dr William Coolidge died in 1975, aged 101, leaving a rich legacy of innovation and achievement. Continuing with the century theme, this blog marks the 100th consecutive Friday that we have sent out our weekly commentary. We look forward to celebrating our second century in two years’ time!